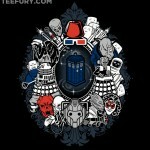 Once in a while, it would be nice to see the different bad guys in Doctor Who fighting each other. 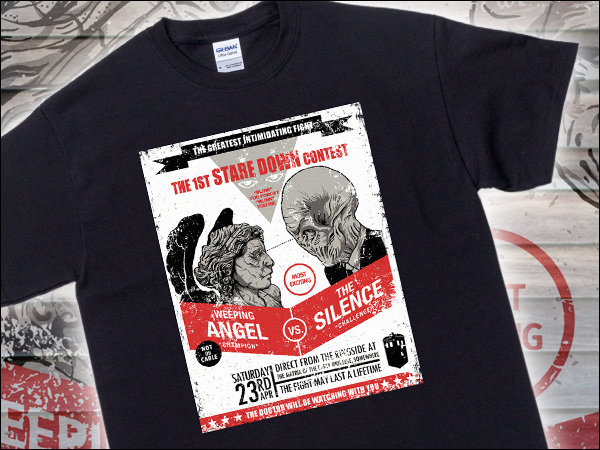 I have long wondered exactly how a battle between the Weeping Angels and the Silence would play out. Of all the possible battles in the Doctor Who universe, I think this would be the one I would most like to see. Perhaps someday there will be an episode of Doctor Who putting them against each other so we finally have an answer as to who would win in a fight, the Weeping Angels or the Silence. 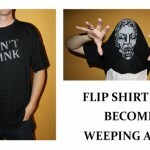 Until then, you can keep dreaming of this match-up thanks to the incredible folks at Tshirtbordello.com (the same guys that sell the DJ Princess Leia t-shirt that coincidentally, I am wearing as I type this, as well as many other shirts I have posted here in the past) who are selling this Weeping Angel vs the Silence stare down contest t-shirt for just $10! 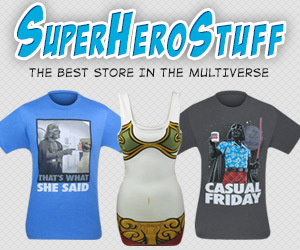 Normally it is $15 (still a great price) but it is on sale right now but the sale will last only through the weekend so if you want this shirt for this incredible price, I would get it now! 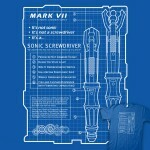 Whether you are a big Doctor Who fan or just a fan of staring contests, you need this shirt! 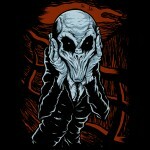 The Silence From Doctor Who Invades The Scream in This Shirt TODAY ONLY! 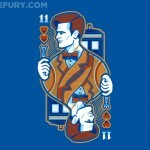 Two Great Doctor Who Shirts With Donna and Martha Jones $11 Today!